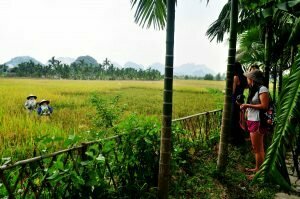 In 2010, The Chairman of Indochina Junk, Mr Doan Van Dung visited Yen Duc village for a short inspection trip on the way back to Halong Bay from Hanoi. 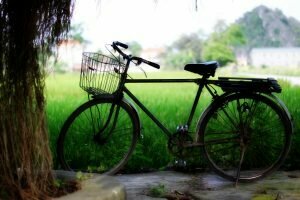 He realized the sincere beauty of this typical Vietnamese village, he met and talked to friendly local villagers, observed their local life with unique cultural heritage and historical land story. Back to working office, he was soon to think and develop a tourism project in Yen Duc village and started working with local authority, gave presentation with local villagers and arranged everything to make this project happen. Preserve and maintain the local culture heritage and life of habitats. Support local community to develop sustainable agriculture economy and share benefit from tourism project. 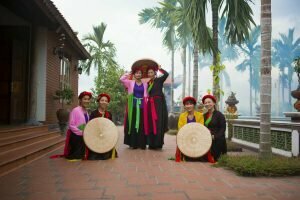 Since 2011, the community based tourism project in Yen Duc village has been operated launching the first product, Yen Duc village day trip and folk song performance. 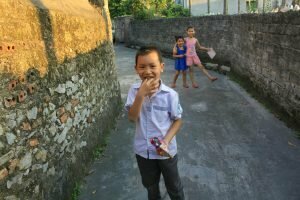 This short trip was designed for tourists back from Halong Bay to discover village in some hours and enjoy a homemade Vietnamese cooking meals in village. 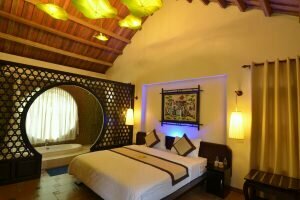 In the following years, more product and service has been introduced: water puppet show and overnight tour. 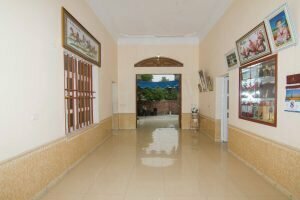 In 2012, the authentic Viet House accommodation has been built, tourists visiting village had another experience to stay overnight in village, the Viet House is a traditional style house in rural area of Vietnam with comfortable spacious room, surrounded by garden, rice fields and local community, which had changed the Yen Duc village tour to become accessible for longer stay and more unique experience for tourists. 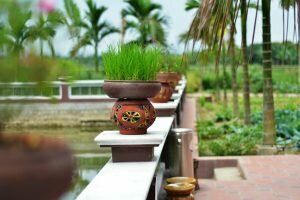 In 2015, homestay service has been added, visitors now can experience the village life with locals, eat, participate in farming and stay as a local in their home. 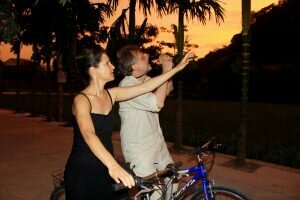 The homestay is truly a nice experience to observe the village life and interact with locals. Support local people develop a sustainable and efficient agricultural economy. 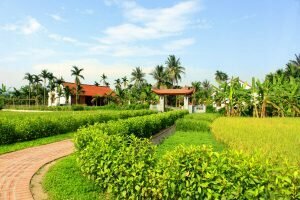 Build clean environment, beautiful village scenery and charming Vietnamese agricultural identity. Develop friendly and responsible community. 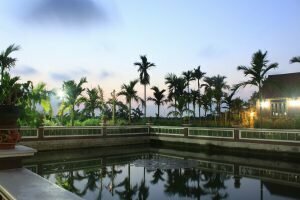 Establish Yen Duc village as the focus of tourism in Quang Ninh province, Vietnam. 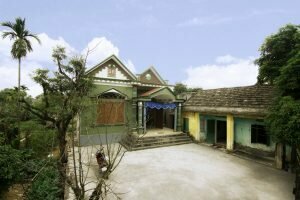 50 villagers has directly worked for the project and get paid of more than 3.000.000 VND/ month. 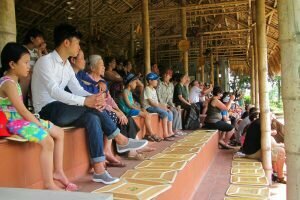 Thousands of international visitors has visited the village and appreciate the local life and culture here. Many television broadcasting channels, newspapers wrote about village and shared to the world about the destination. Awareness of local authority in Quang Ninh province towards community based tourism. Winner of “ TripAdvisor Certificate of Excellence” in 3 consecutive years ( 2013, 2014, 2015).